1. Click save on the download to save the file. 2. Click on the download to open the file. 3. 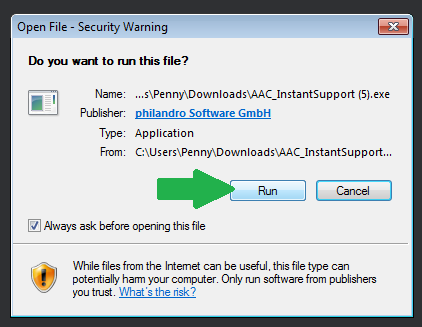 Click “Run” to run the application. 4. Read your ID to the technician assisting you over the phone.